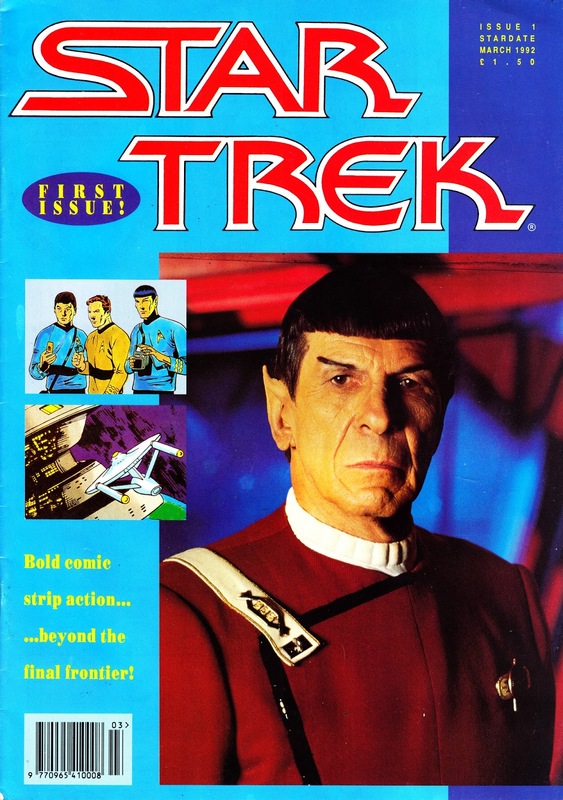 From March 1992: the first issue of the long forgotten British STAR TREK comic. This came from Phoenix/ Trident, the outfit that briefly looked like they were going to become a MARVEL UK style reprint house (albeit without much in the way of personality) with a raft of media tie-in titles including ALIENS, THE TERMINATOR, INDIANA JONES and even FREDDY'S NIGHTMARES. They didn't last very long... possibly because their product wasn't great... and possibly because Dark Horse reclaimed their titles in order to launch Dark Horse International. This one offered-up a bunch of movie era Trek reprints from the DC vaults. From memory, the pages looked like they may well have been copied from copies of the original US books rather than from the original art or the film created for printing. The title ran for at least 8 regular issues. The same company also launched FINAL FRONTIER, the shady Trek magazine that didn't even bother with a license. There was also, briefly, a STAR TREK: THE NEXT GENERATION comic (which I'll get to) that plugged the gap between the end of the Marvel UK run and the launch of the (still running) Titan Magazine. The latter, because it had limited distribution outside the UK, was also initally able to run DC reprints.